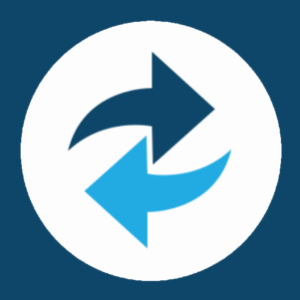 I have just purchase a 4 pack license and is new with Macrium Reflect. I installed on a new and clean Windows 10 Pro (build 10074) x64, without any other software installed. I have successfully created and restored a System image and I also manually created and restored files and folders. Everything worked perfectly without any problems. Schedule Task Save Errors. 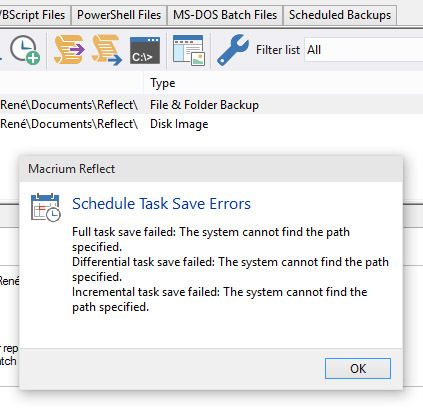 Full task save failed: The system cannot find the path Specified. I get the same error messages for both Differential and Incremental tasks. Other users, with ESET Smart Security installed, have experienced the same error messages, but I have nothing installed. I have tried disabling the Windows firewall, but it did not solve the issue. Does anyone have a clue to solve the problem using a schedule? There is also an error displayed when creating the task, though the task is still created. 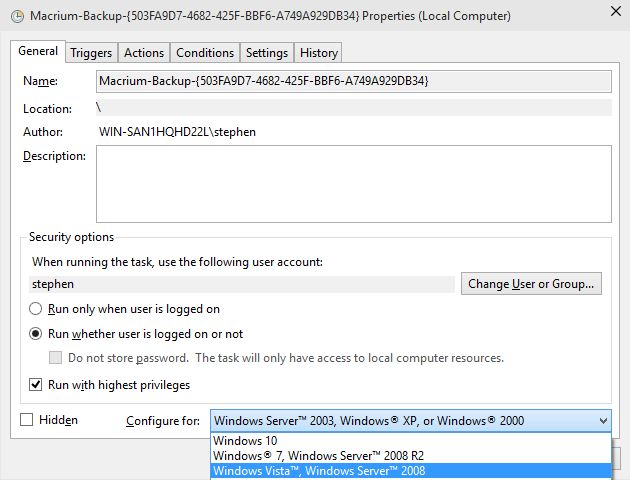 To get the task running again you would need to change the "Configure for" option on the scheduled tasks from "Windows Server 2003, Windows XP, or Windows 2000" to "Windows Vista, Windows Server 2008"
Typing "Taskschd.msc" into run will open the Windows Task Scheduler. Please note that although the task will run in the background it will not be able to interact with the desktop. You will not be able to see any progress. We have a case open with Microsoft regarding this issue and will have a resolution before Windows 10 is released. Please be aware that Windows 10 is still unfinished and unreleased software which may cause some issues with Reflect (and other software). For me the same after installation of Windows 10 Build 10074. But I can tell that a manual run is doing fine and also that the scheduling runs well under Windows 10 Build 10041. Keep in mind that I already mentioned in a previous case that using / stick to the oldest schedule configuration (2003, etc) support could come to an end. I think Microsoft try to force users starting to use the latest schedule configuration(s). Many thanks for your quick and accurate response. I am fully aware that Windows 10 is still in development so it affects various functions in different software. Therefore it is not essential for me to get the problem solved here and now, but it would be nice. Unfortunately, Configure for: is Hidden by me, so I can’t change the settings to: Windows Vista, Windows Server of 2008. I have to arm myself with patience for a future update of Windows. Thank’s again for your great help. Indeed changing the schedule configuration to a higher plan (I choosed Windows 10) it works. But than the Macrium Reflect scheduler is no longer into control i.e. Windows schedule is invisible for Reflect. Microsoft has recently released a new build of Windows 10 - (build 10122) this appears to have resolved the problems with the task scheduler. Many thanks for your help,even in connection with an earlierpost. I really appreciate your following up of the subject. These backups have been running for at least a year with an occasional failure (every month or two) due to shadow copy issues for which I was unable to find a solution, but were infrequent enough that I stopped looking. The failed backups always ran successfully when I retried them later in the day. I am running Windows 10 pro, version 1607 (OS build 14393-693) and Reflect version 6 is up to date.